Annapurna trekking gain its popularity in all over the world since 1977 when it was first time opened for the foreigners. This region has been recognized as one of the World's best Trekking trails according to a survey by Modern Maturity (USA). 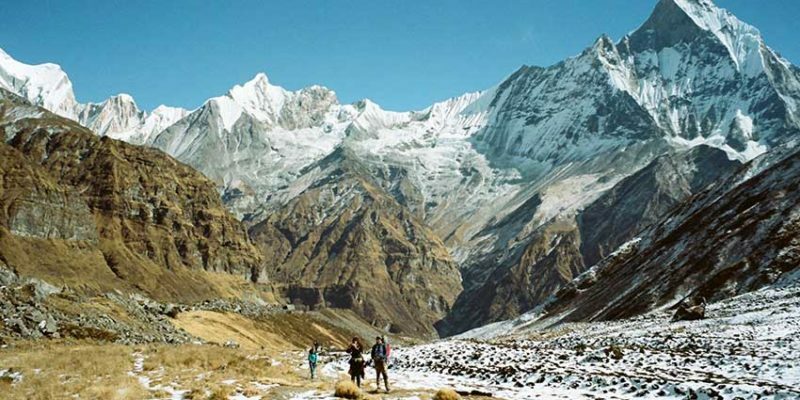 Annapurna region trekking is only such region for trekking that offers splendid varieties of natural and cultural diversity with spectacular Himalayan views of Mt. Annapurna, Annapurna south, Mt. Dhaulagiri, Mt. Manaslu, and Fishtail etc. Trekking in Annapurna offers you stunning view of series Peaks in the Himalayas, a 55 km (34 miles)-long massif of which the highest point, annapurna I stands at 8,091m, as making it the 10th highest summit in the world and one of the 14 “eight – thousanders”. It is located east of a great gorge cut through the Himalayas by the Kali Gandaki River, which separates it from the Dhaulagiri massif. (Dhaulagiri It lies 34 km west of Annapurna). 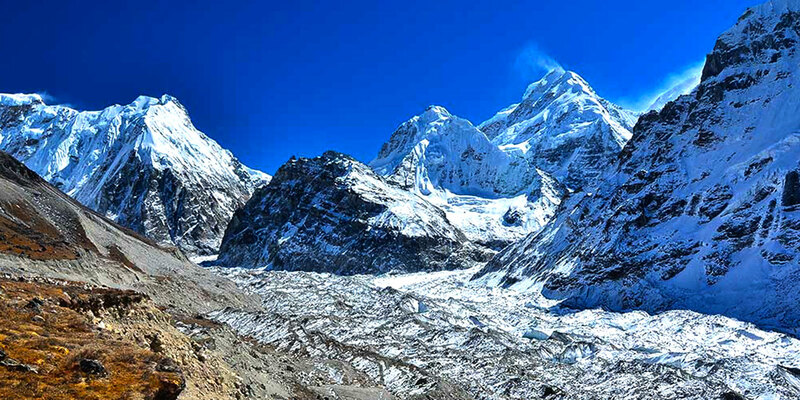 Annapurna massif contains six major peaks over 7,200m. Which are: Annapurna I (8,901), Annapurna II (7,937m), Annapurna III (7,555), Annapurna IV (7,525m), Gangapurna (7,455m), Annapurna South (7,219 m). Annapurna trekking offers magnificent scenery and its unspoiled bio-diversity, including fish tail peak, Annapurna, nilgiri, Gangapurna & Lamjung Himal. The area is home to over 100 mammals, more than 60 reptiles and amphibians, in excess of 450 species of birds and 9 types of rhododendrons. 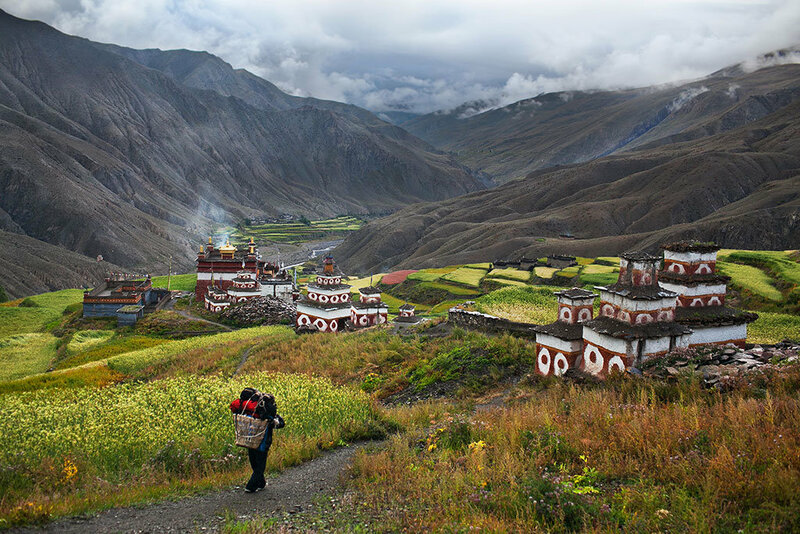 Annapurna Trekking region dramatically reveals the cultural and geographic frontier running across Nepal. Mountain views are frequent and spectacular, and the various trekking routes offer different experiences – the trek around Annapurna trekking leads you throughout the region.